A new study was recently published by a team of scientists from the Institut national de santé publique du Québec and the Université Laval on the risk of lead exposure following the consumption of big game meat in the province of Quebec. The objective of this study was to evaluate if the consumption of big game meat shot with lead ammunition could be associated with clinically significant lead contamination in hunters (and their families). Researchers measured concentrations of lead in meat of 80 harvested white-tailed deer and moose killed with different types of projectiles. A questionnaire regarding big game meat consumption was sent to randomly selected hunters (with 429 hunters that answered the questionnaire). Based on the levels detected and on the results of the survey, an estimation of the total exposure to lead of hunters and members of their families was calculated based on a theoretical model. A risk analysis study was performed to evaluate the relative risk of consuming big game meat shot with lead ammunition for the health of hunters and their families. Lead was detected in the meat samples of 90% and 70% of the white-tailed deer and moose shot with lead ammunition, respectively. Means levels of lead in the meat samples were 0.28 mg of lead per kg of meat for white-tailed deer and 0.17 mg/kg for the moose. 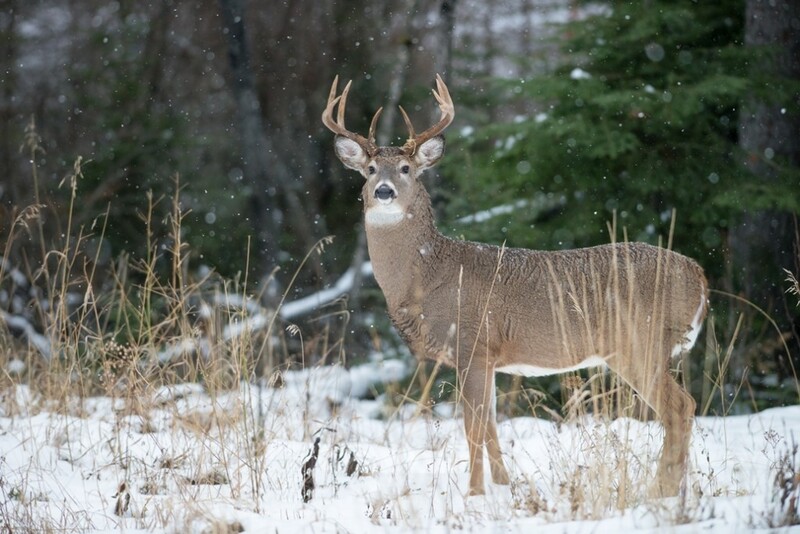 Levels were greater than 0.1 mg/kg (the reference limit established by the European Commission) in 37% and 13% of the white-tailed deer and moose, respectively. All meat samples from cervids killed with copper-based ammunition or with a bow or a crossbow had lead levels well under the reference limit. Based on these results, the authors concluded that the consumption of meat from big game shot with lead ammunition could potentially increase the exposure to lead in excess of levels reported to cause subtle health issues. The authors do not want to discourage the practice of hunting, since hunting is associated with an increase of physical activity and an improvement of the quality of life for many people. In addition, game meat is a good source of nourishment. However, exposure to lead could be prevented by educating hunters and butchers on the risk associated with the consumption of meat contaminated with lead, and by advocating the use of safe lead-free ammunition. This would also be beneficial for the health of wild animals (especially birds) that are feeding on often contaminated viscera left by hunters on the kill site. A recent study performed by Guy Fitzgerald from the Faculté de médecine vétérinaire, in collaboration with the CWHC – Quebec and the Ministère de la faune, de la forêt et des parcs showed that Bald Eagles and Golden Eagles from the Province of Quebec are exposed to lead from contaminated “left overs” from hunting activities.